Season’s Greetings to you from your township! 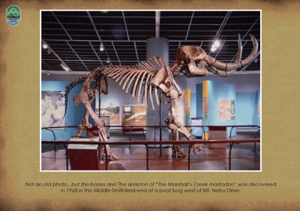 Perhaps you’ve seen your township Historical Commission at work in the news lately, mostly regarding the Marshall’s Creek mastodon. But they have also been hard at work on something else, just for you! 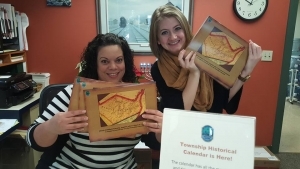 The Middle Smithfield Township Historical Commission, along with their liaison Chantel Wilder, has put together a Township 2016 calendar, with photos of historical people, places and events in the township. A special thank you to Commission member Kim Williams for assembling the photos and images in the calendar. The calendar has all the meeting dates and times of all the public meetings, committee meetings, as well as township and area special events, and major holidays. A suggested donation to the Historical Commission is just $3 per calendar. They make great stocking stuffers and are available today! If you would like one please contact Chantel at 570-223-8920, x 100 or email cwilder@mstownship.com.